Blue Susan makes: What's My New Favorite Sewing Tool? What's My New Favorite Sewing Tool? 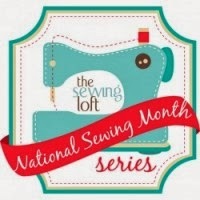 Come find out at The Sewing Loft where I am sharing how to make my new favorite sewing tool in honor of National Sewing Month. Heather has been highlighting sewing tools all month long and it's been fun to hear about tools I didn't even know existed There's a giveaway too that you won't want to miss!